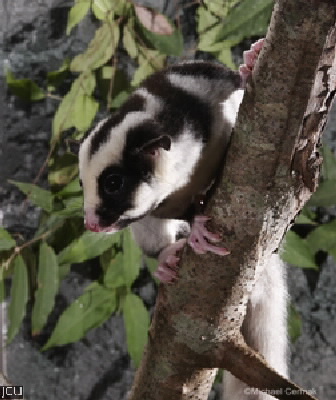 This distinctive possum with the 3 black stripes contrasting with the white fur may be occasionally seen on campus in rainforest areas. It forages at night for insects, nectar and fruit. The 4th finger, which is longer than the others, is useful for digging borers out of stems.